In a recent Forbes post, Liz Ryan offered ‘10 Unmistakable Signs of a Bad Place to Work’. If, during the interview process, a company does not contact you for weeks, or forces you to complete endless tasks and behaves as though they are above you – don’t bother with them! However, if they return your calls and emails promptly, respect your time and talents and treat you with kindness during the whole interview process – they are worth your attention. The interview process acts like a window into a business: what you see when looking through the window is an organisation in microcosm. If they cannot show kindness to prospective employees it is no wonder interviewees are recommended by Ryan to get out of there – fast! Kindness demonstrates a level of emotional intelligence – the ability to manage and harness your own and other’s emotions. Kindness in action welcomes the new staff member, is eager to give recognition and focusses on the good in their colleagues. 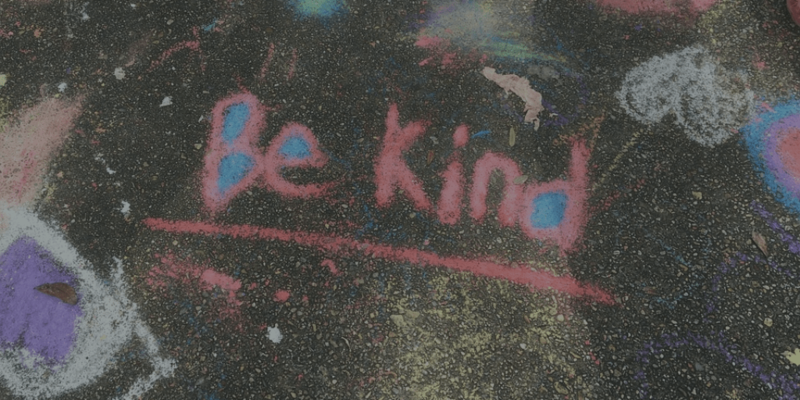 Kindness inspires collaboration, communication and creativity, some of the soft skills that US senior executives recognise as missing from their workforce. How can the quality of kindness be integrated into an organisation’s core values – that can then be driven and measured? One recognition solution, Kudos Social Recognition, allows you to break down your corporate core values and include qualities such as kindness, which employees can be recognised for. In other words, it allows kindness to drive organisational behaviour. Incorporating kindness as a quality – as a Kudos Quality (KQ), also allows its use to be measured. If kindness is spotlighted and encouraged as the desired behaviour, it gives permission to those who are intrinsically kind to demonstrate this quality to colleagues. In turn, this promotes a ‘kind’ culture within an organisation. Kindness can support the development of the soft skills of collaboration, communication and creativity – often missing from today’s workforce. Developing these skills will have a positive effect on employee engagement, recognition, employee-customer relationships – and ultimately on ROI.